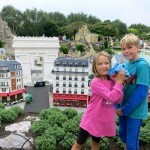 Legoland Windsor: Don't leave it too late! 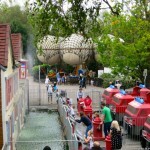 Legoland Windsor: Don’t leave it too late! 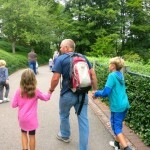 In the last week of our 12 week long summer holidays we enjoyed a quick trip back to the UK. 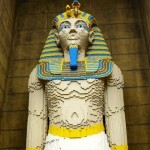 The trip was to finally visit Legoland Windsor, something we have been planning to do for years. 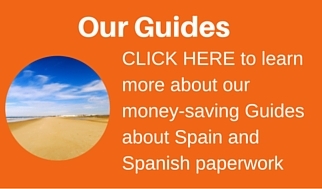 We chose to travel the first week in September as that meant most of the UK schools had already started their new school year and queues would be shorter. We are very glad we did it this year as otherwise we would have left it too late. Why would it have been too late? 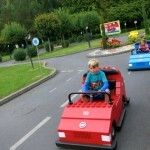 The Legoland® Windsor Resort is advertised as the ideal destination for families with children aged 2-12. However, our children are aged 7 and 9, and we felt that if they had been any older, they may not have enjoyed is as much. 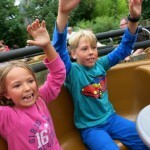 We felt that the marketing and descriptions of the rides should be clearer about suitable ages for each of the attractions and activities. Saying that, we entered the park shortly after they opened their doors at 10am and walked out at 4.55pm. shortly before they closed. We were shattered but had enjoyed a superb day of fun, shrieks and laughter. The attraction park, offers over 55 interactive rides, live shows and attractions including the famous Miniland (see our video) plus building workshops, driving schools, splash and play in DUPLO® Valley and NEW for 2014, set sail on a swashbuckling adventure to Pirate Shores – there’s a whole LEGO world of playful fun and learning to discover. LEGO® was founded by Ole Kirk Christiansen in 1934. The name comes from the Danish words “Leg godt”, meaning “Play well”. In 1968 the idea of making a permanent exhibition of LEGO models was hit upon and the first LEGOLAND opened in Billund, Denmark. 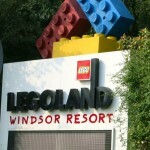 In 1992 Windsor Safari Park went into receivership and four years later in 1996 LEGOLAND Windsor opened on the site, using 25 million LEGO bricks. 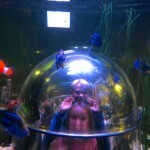 This was one of our favourite parts of the park Josh’s comment was “It just blows my mind”. 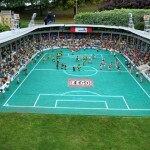 Miniland contains the greatest concentration of LEGO® bricks in the park. Nearly 40 million pieces have been used to recreate scenes from the USA and Europe, all bustling with sounds, traffic, trains and boats. We didn’t visit this are as it was a cloudy day and we, of course, are used to warmer climes. There were however loads of young children, in swimsuits screaming and splashing around, having lots of fun. This area is designed for the littlest tots in your party. The excitement of obtaining a driving licence is probably again geared to the younger children. The speed of the cars and the too. You are invited to “climb in the driving seat and steer your own course on many of our interactive rides in Traffic. Sign the whole family up for some high energy fun”… Hmm, I think the marketing team got a bit carried away about this activity. Come and visit LEGO City by the harbour but watch where you go as the Pirates have invaded… The live acrobatic pirate show was excellent. Be careful not to sit in the “soak” zone if you don’t want to get wet! 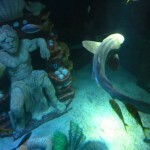 Battle your way through this ancient land in search of hidden treasure…. 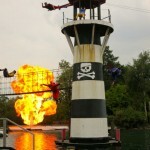 Set sail with us on a perilous swashbuckling adventure to Pirate Shores! Be prepared to get wet! Vikings Wanted! Set sail through these uncharted waters and you’re sure to make a splash! After a good soaking head back to dry land and unravel the mystery of the Nordic maze… Watch out for your friendly spectators who shoot water at you as you pass them too 😉 Waterproofs required if you don’t want to get wet! 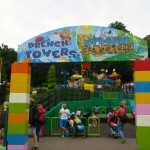 A free play area where children can build and play with Lego toys.